Sharing news about the Ararat discovery draws forth some general responses. As one might expect, the most positive and excited reactions come from believers while explicit unbelievers usually react with instinctive skepticism or hostility. What is surprising is how many of the warmest responses come from those in secular callings where faith cannot be or is rarely openly expressed and even from some who have seemed open or explicit unbelievers! (1) Quietly expressed scorn at such simplistic Christianity. Among this group, many mainline pastors and teachers who have long experience in being discrete less they upset their parishioners. (2) “It doesn’t matter to me. I just believe the Bible!” Yes, but why would a believer react with that declaration? 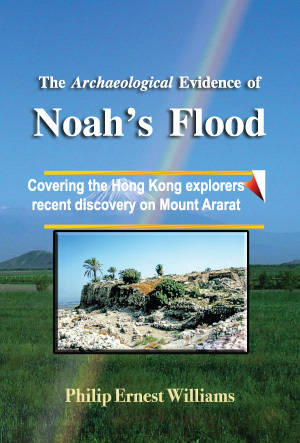 Doesn’t the Bible say something about a worldwide Flood and an Ark landing in the mountains of Ararat? Perhaps many of those giving this response are in fact simplistic Christians unaware of the scientific challenges to the Bible, how that has impacted our world, and how this discovery turns that around. In that case, they need to understand the importance of this discovery. But many of those reacting like this may be mistaking religious pride for faith. What good are Scriptures if they do not enlightened the world? The Scriptures are in fact a light. But if we don’t use the light, we are hiding our light under a bushel. If we had a book of myth, one would not expect it to shed any light on the archaeological remains from early man. Our modern world has indeed declared these important sections of our Bible to be myth. If believers do not demonstrate that they have a light by using them in archaeology, unbelievers can be excused for not doing so. In fact, unique among ancient texts, the Bible shows time and again how it can enlighten archaeology. Until now, the exception seems to have been the early chapters of Genesis. This discovery shows that even these Scriptures are to be fully trusted. (3) “This discovery is troubling because it may become a shrine for pilgrimages.” Indeed, it may. Protestants have been suspicious of pilgrimages. Al Mohler, President of the Southern Baptist seminary in Louisville, expressed this concern about the NAMI discovery. We need to understand the specific problems with pilgrimages, a concern of the Reformation. At the time of the Reformation, it was popular to take pilgrimages to the tomb of the Catholic saints like Thomas Becket. Local shrines were drawing attention away from the common faith, much as was the problem with the ancient high places in Israel. Pride in local religious traditions is the seed ground for idolatry. As I pointed out to Dr. Mohler, Billy Graham’s Library might concern us because I am fond of going there and it is getting a lot of pilgrimages. Other Christians may not. Making too much of Billy Graham, as he himself would certainly agree, might divide believers from our common faith. The discovery of the remains of Noah’s Ark is not going to do this. The account is in the Scriptures that belong to our common faith. Dr. Mohler points out rightly that God did not see fit to preserve some of the most important relics of our common faith such as the burial place of Moses. The serpent that Moses made in the wilderness did in fact become an idol for many in ancient Israel. But there were exceptions. The Lord did command the Israelites to erect an altar in remembrance of their crossing of the Jordan River. The empty tomb was an important witness to Jesus’ resurrection. It seems that witnesses to the great acts of God do not present a danger to idolatry. We are not likely to suppose the power of any physical remains greater than the great act to which they witness. As a witness to Jesus Second Coming and judgment of the whole world, we have now an empty Ark making it clear that his erstwhile judgment included the whole earth. 1. Would your remarks be the same for other archaeological discoveries relating to the Bible? 2. Are you against Christians visiting the Holy Land? 5. If external evidence is not important, do claims for and against an empty tomb of Jesus matter? There are some things by which God may surprise even a learned believer like Dr. Mohler. I believe that he is now looking forward to more on this discovery. (4) A general negative reaction because the discovery contradicts what one presently believes about Noah’s Ark, the Flood, or the Bible. This is not particular to this discovery or subjects. It is the nature of discoveries to contradict conventional thinking, else the discovery would probably not have been hidden. Much of the public opposition to NAMI’s discovery probably stems from this cause. 3 Responses to Unsurprising and surprising responses to the NAMI announcement. I have been following this story since the first news clips were released in 2010. I am an Orthodox believer and I have always taken Genesis as literal history and have often debated the evolution/creation controversy. I am quite familiar with the ” negative reaction” descriptions you give of Christians and skeptics alike. You are correct that the Christian negative reaction is quite baffling. All that said however, I have been very impressed with this evidence that NAMI has apprently gotten. The claims of a hoax seem to me to be very spurious considering the heigth at which this structure was found. I am looking forward to seeing the movie that NAMI has released and that brings me to my questions. I have tried to contact NAMI from their website and predictably recieved no response. I figure they are too busy dealing with this whole thing to answer individual inquiry’s as to their activities. However, I would like to ask you seeing as you are someone who seems to be intimately involved with this group or at least to be following them very closely. 1) When will this movie be released in the United States or how will I be otherwise able to get my hands on it? 2) When are they going back up there to solidify this discovery? My second question really is the most important. This thing needs to be excavated and revealed to the world. Imagine the upset this will do to the Evolution camp when they discover dinosaur DNA in this thing. This will utterly obliterate atheistic evolutionism. This is not just the find of the century. It is the greatest archaeological find in the history of mankind. 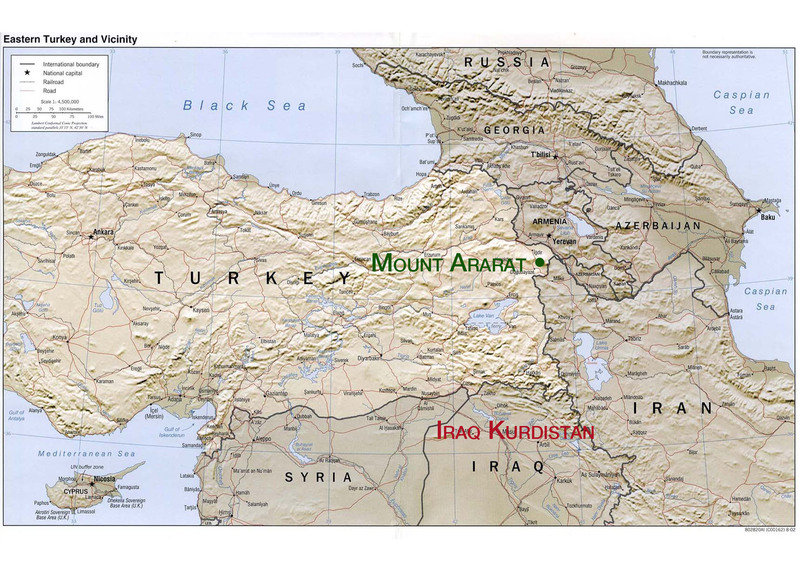 With that in mind consider that there was a Midieval Monk who built a shrine up on Mt Arraat in around 900. He had been told by God in a vision to go and search for the ark. There was a villiage high on the mountain and after reaching that villuiage the Monk made three unsuccessful attempts to go farther up the mountain to find the Ark. each time he fell asleep in the snow and was returbned to the villiage presumably by God. On the end of the third attempt an angel appeared to hiom and gave him a piece of gopher wood from the Ark and told him that the Ark would not be found until the end of the world. He built a shrine there. This shrine was destroyed in the earthquake that split the mountain just before the turn of the Twentieth Century. I would very much like a response from you good sir. I understand that your own time may be limited. BGut if you could just enlighten me to an answer to my two questions I would be most grateful. Good questions they were, and put forth well. I too am extremely interested in those answers.